River is the name of our new model with a fashionable cut that strikes the eye immediately. It comes in bold and brilliant colours that are easily combined to ensure high spirits. 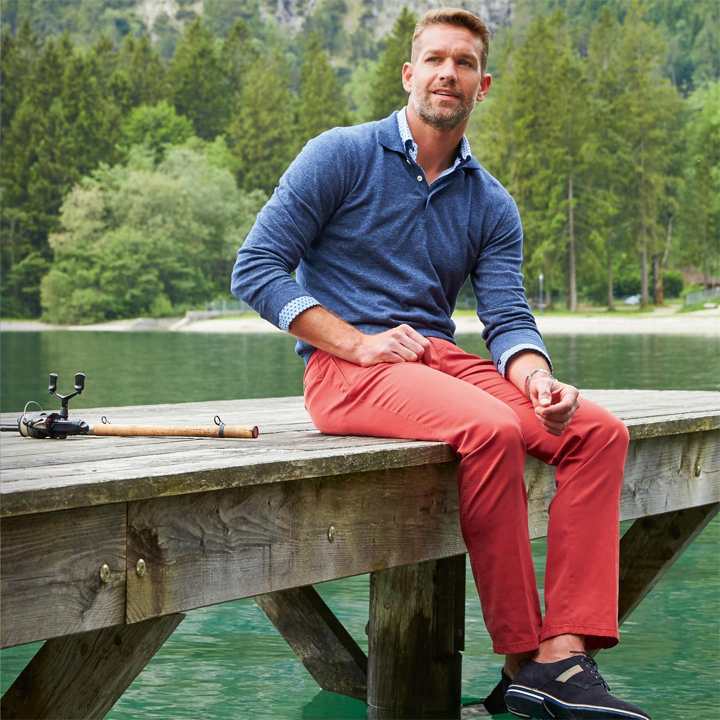 Compact flap pockets give the River a relaxed yet eminently presentable look. Discover them today! There’s always space in the wardrobe for a new chino model. And the Reno has certainly earned its place: thanks to a slim cut, super comfortable fit and rugged cotton twill with a high stretch component. 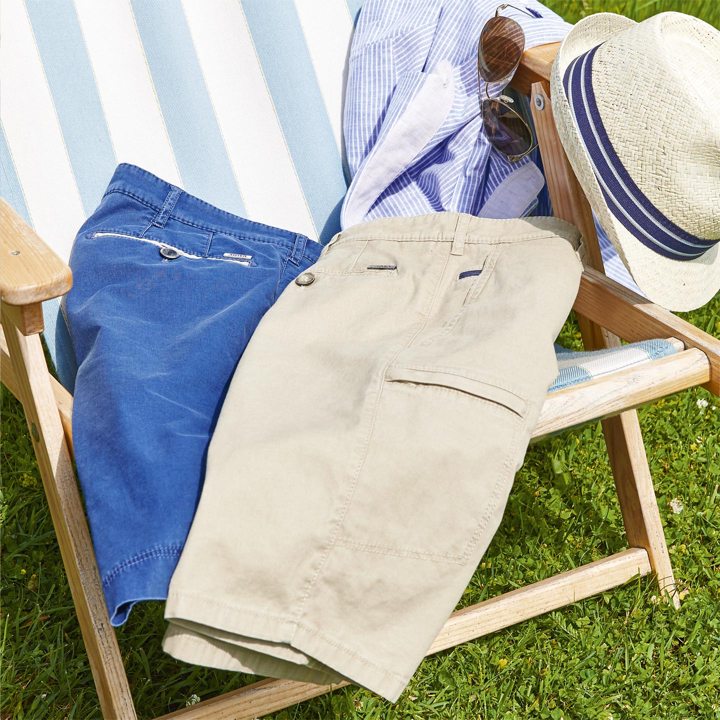 Shorts are an indispensable part of any summer wardrobe. Especially when they happen to be sporty and unbelievably practical at the same time. 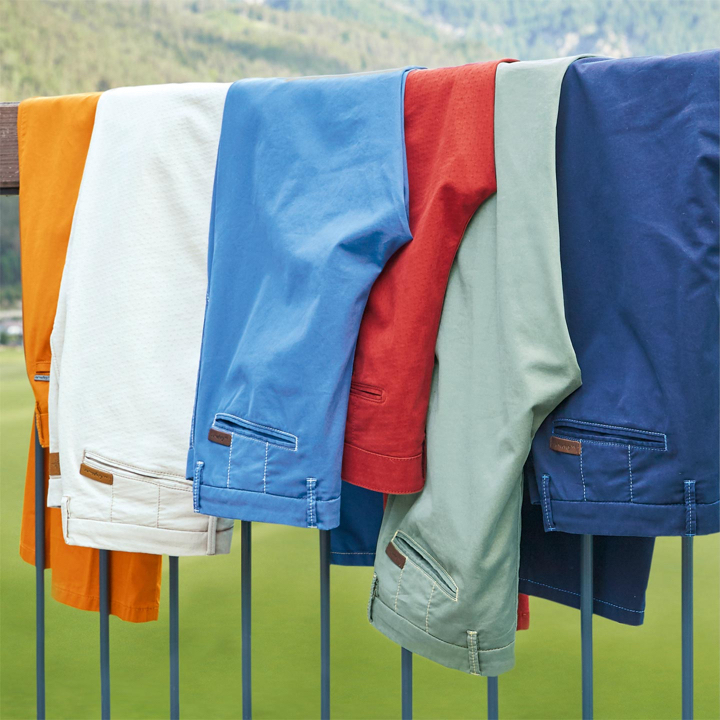 The beautifully casual-cut B-Palma Bermuda shorts have a multitude of pockets, including a zipped smartphone pocket. Ideal for the beach, cool in the city. Try them on for yourself! With its comfortable rise and leg width, freedom of movement wears the trousers when it comes to the new Kansas. 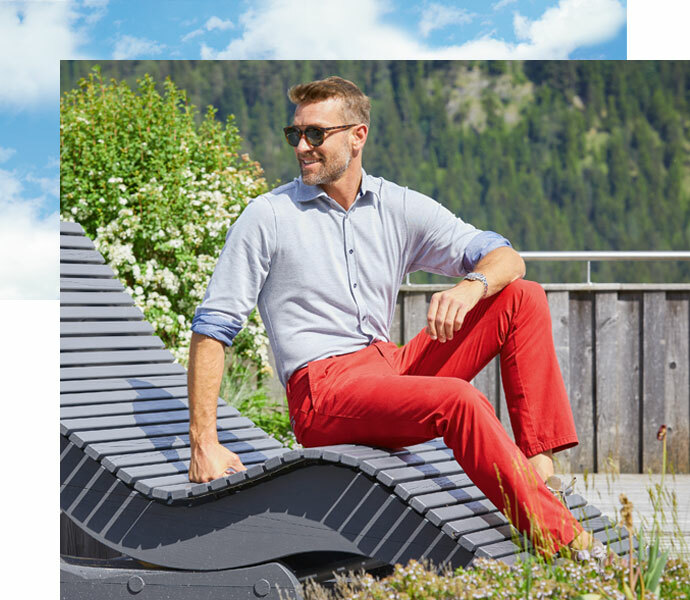 Comfort fit is written large with these 5-pocket trousers, yet the silhouette remains beautifully slim. 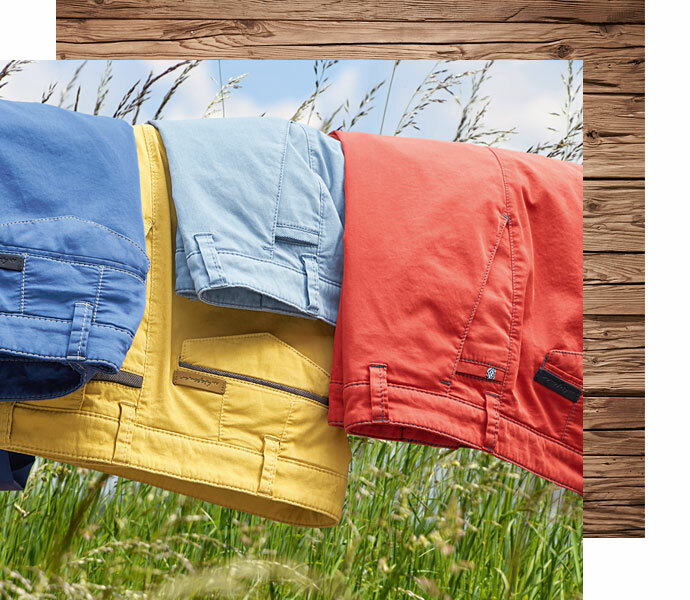 And since the Kansas comes in all conceivable summer colours, it could be worth having more than one pair in your wardrobe. Cargo pants are back and are hitting the catwalk in style, while remaining as stylish and casual as ever. 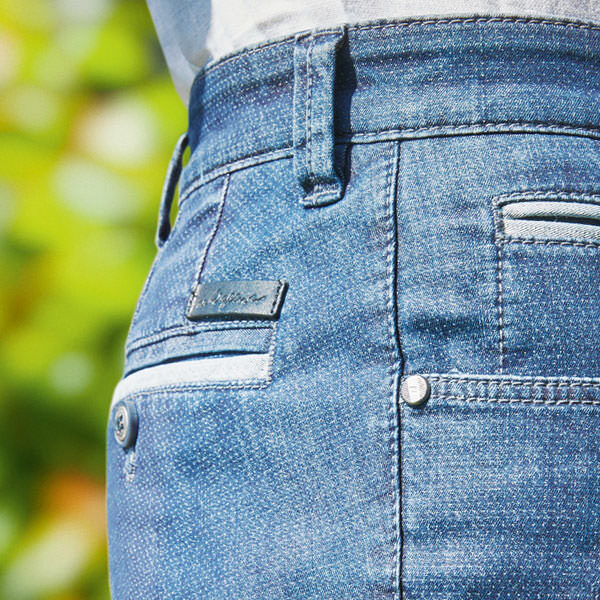 Our new Cargo model is a slim, figure-hugging cut in a modern fit. 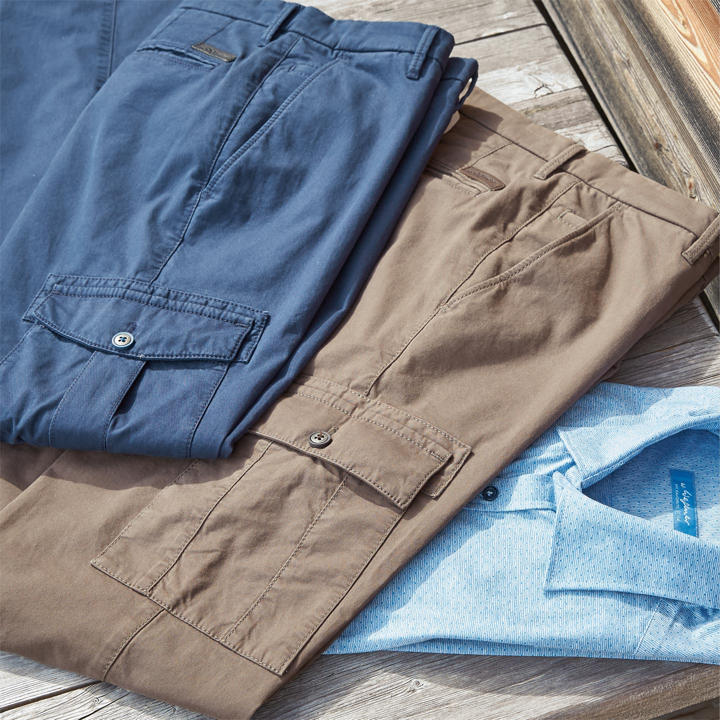 The typical cargo side pockets are simple, straight and fitted – ideal for tucking plenty away. Dress like you’re already on holiday? It’s easy with our two new cord drawstring models made from 100% Italian, light and breezy linen – also available in a striped design. 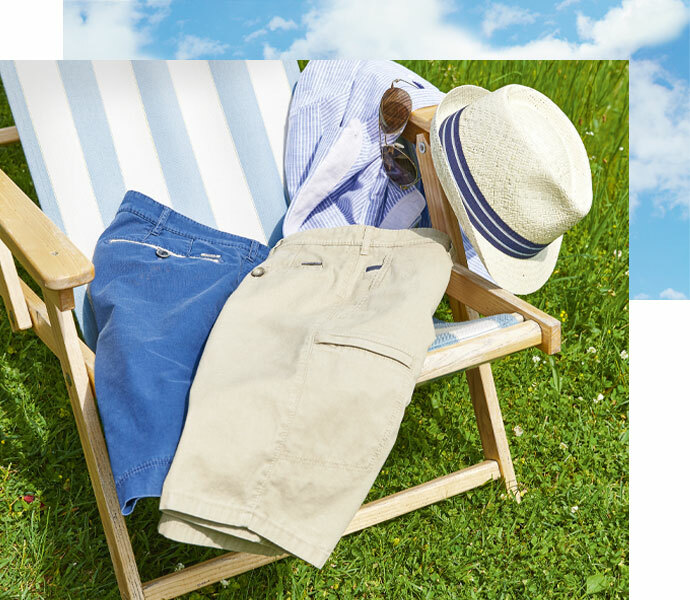 While the Lago Bermuda shorts finish just over the knee, the Joker shorts go that little bit further, making them ideal for summer parties and relaxed city breaks. 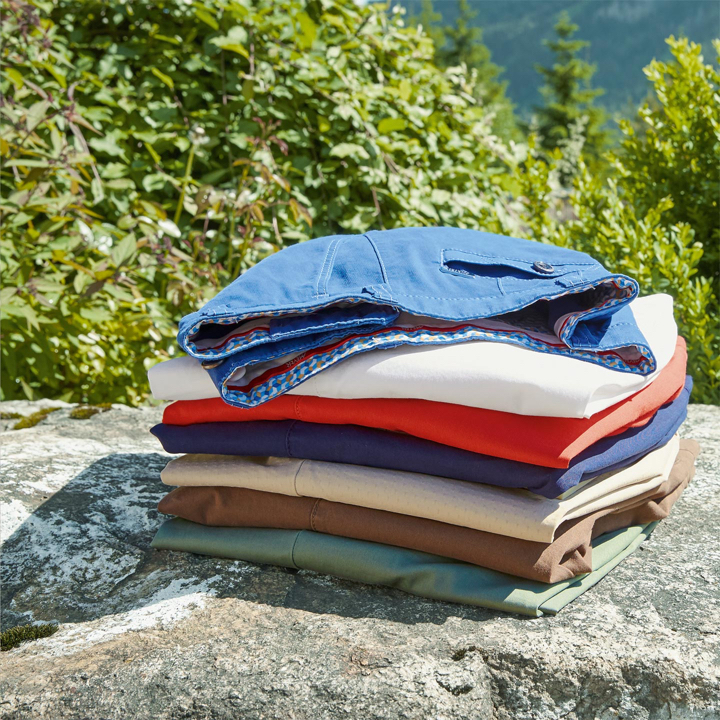 It’s good to pack clothes that always stay in great shape – even after many hours on the road. Which is why we’ve used wool with added functional fibres for our Monza and Berlin summer models. This makes them crease-free, washable, easy-care and ideal for your suitcase. What’s more, they always fit perfectly and give you a groomed appearance. Happy travels! 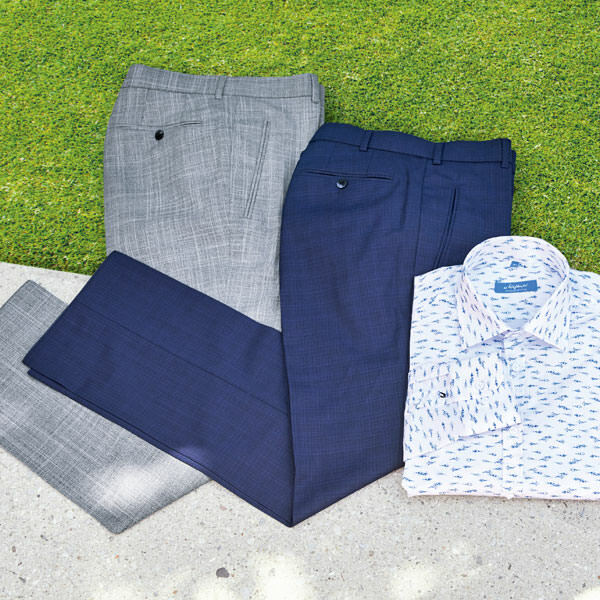 This summer, new trend colours join the classic business colours, grey and navy. 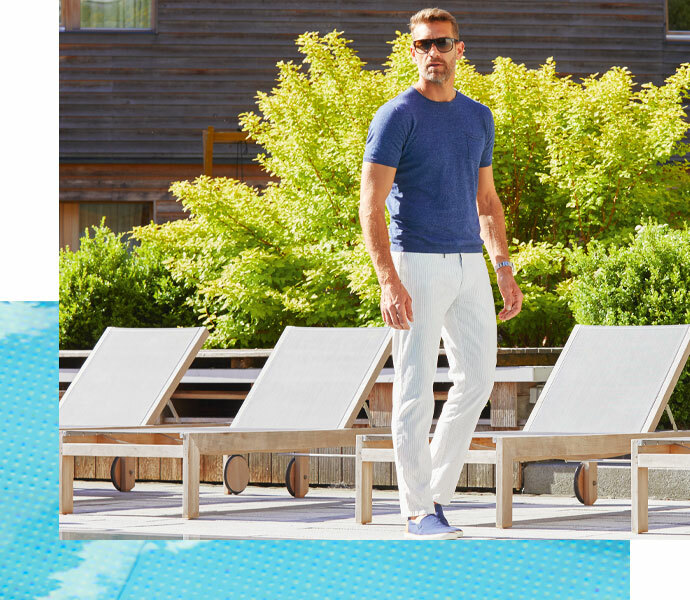 So how about a suit in a cool sea blue teamed with a lightweight shirt in brilliant curry? All made from ultra-lightweight, heat-regulating fabrics with added power stretch. Have fun putting together some great combinations! 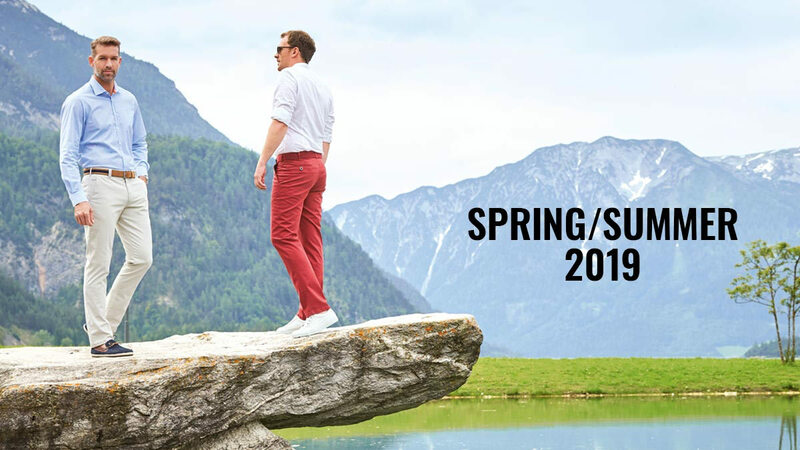 We leave nothing to chance when it comes to our men’s trousers. Every detail is in tune, every seam sits perfectly. 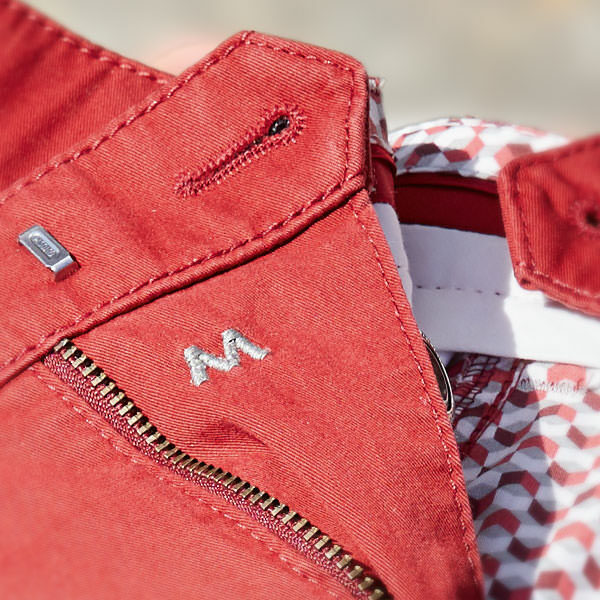 Metal logo plates, embroidered logos and individual lining fabrics underscore the exclusivity of our models. Such precision and meticulous tailoring give you companions you can reply on for many years to come. We like the current trend for checks so much that we’ve continued it into our summer collection. Whether large checks or mini checks, these fabrics are ideal for everything from business trousers to casual shirts. 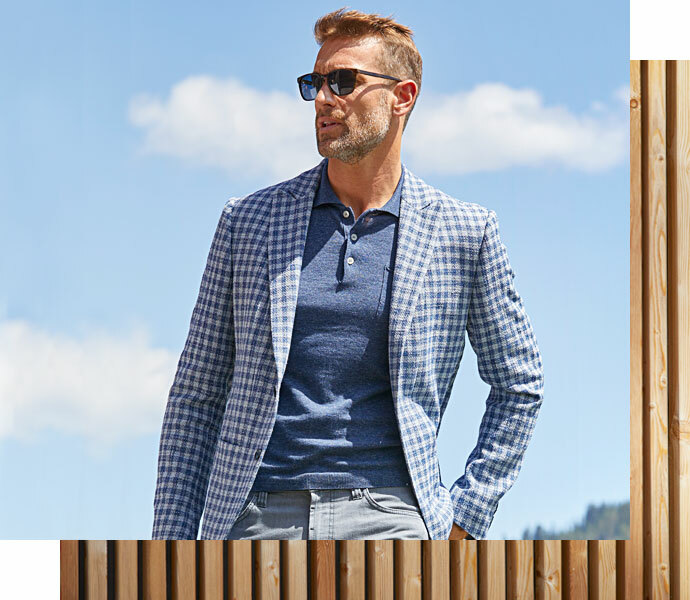 Checked jackets are particularly suited to travel, as they offer a wide range of combination options. Just put them on and enjoy the effect. Let’s get straight to the point: lightly structured denim in a dotted design introduces variety into your jeans wardrobe. If you prefer a more sporty look, team them with a jersey shirt or cardigan. Or for a more elegant look, perhaps an Italian checked jacket. Point made.